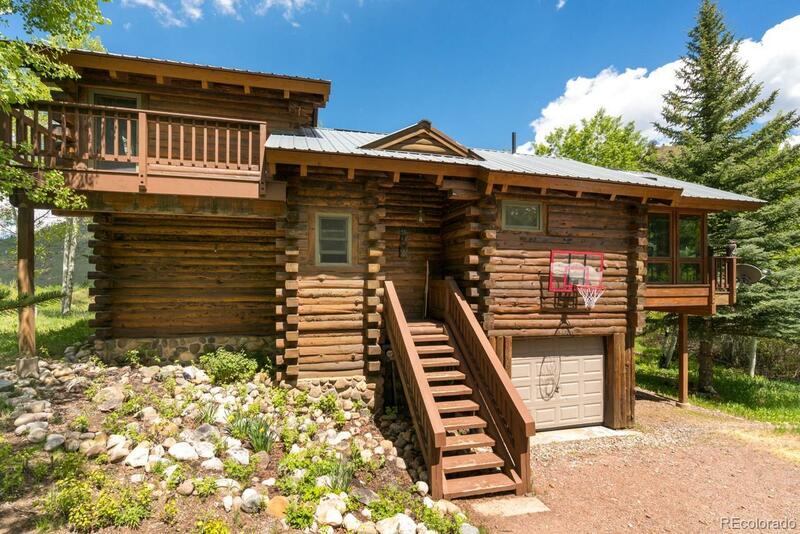 The quintessential cabin in the woods you've been looking for. This property perfectly combines the rustic charm of a D-log house with the modern conveniences of a newly remodeled kitchen and bathroom. The new kitchen features marble counters, glass tile backsplash, copper sink and black stainless steel appliances. The new bathroom features dual sinks, a large soaking tub, honeycomb mosaic floor tile and a white subway tile shower surround. Nestled in the aspens towards the back of this nearly 1 acre lot, this property offers the ultimate in privacy and serenity. Listen to the aspen leaves quake or the seasonal stream ripple from the large back deck with views to the Steamboat Ski Area. 270sf unfinished basement with laundry located through the 1-car garage, great for storage. Additional covered parking in the carport beneath the sunroom.